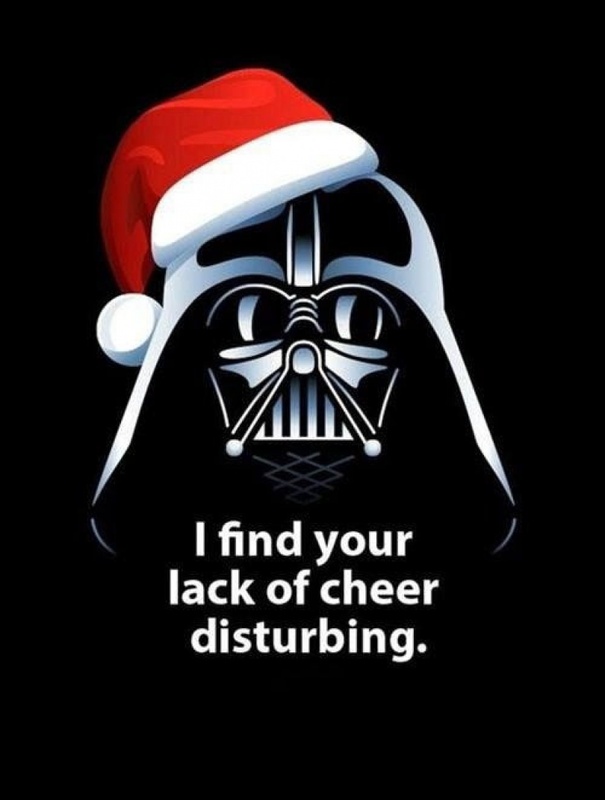 It's finally December, which means the Christmas season is in full swing. In addition, we only have a matter of days until Star Wars: The Last Jedi releases in theaters. 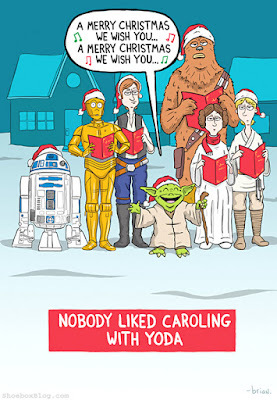 So in the spirit of fandom, why not combine the two celebrations and host a Star Wars Christmas party? Here are a few galactic ideas to get you started. Of course, the real decoration would be a full-blown Star Wars Christmas tree, complete with one of the various helmets as the tree topper. If that's too ambitious, you could settle with a Star Wars wreath to decorate your front door. For more ideas, you can create a Yoda countdown chain (either for Christmas or The Last Jedi release) or make a few Star Wars ornaments to set around the food table. One of the most important parts of a party is the food. 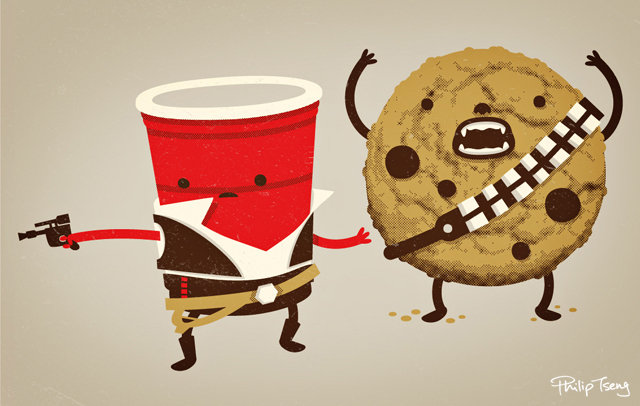 Providing enough food or snacks for your guests will assure you have the most successful party in the galaxy! 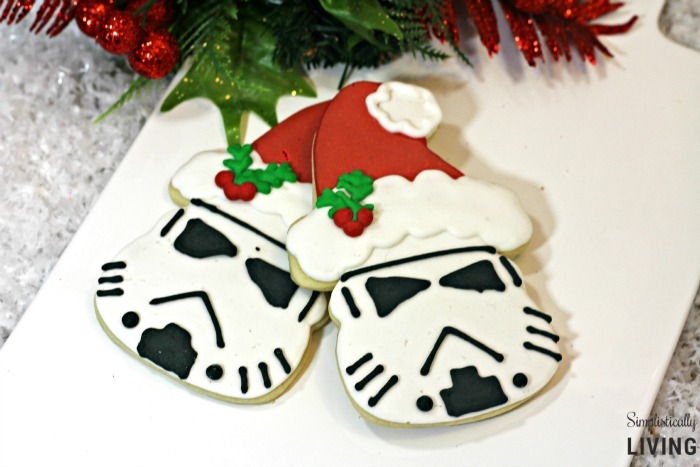 For a winter holiday atmosphere, you can make gingerbread cookies in the shape of Star Wars characters or these cute stormtrooper sugar cookies. Everybody likes chocolate covered pretzels, right? Add a little food coloring to the white chocolate and make them look like lightsabers instead. These would even double as a nice party favor. Munchies like Star Wars themed popcorn or BB-8 Muddy Buddies will definitely satisfy anybody looking for something to snack on. You can use graham crackers and peanut butter (or Nutella) to create TIE-fighter s'mores, and this Bantha hot cocoa recipe is sure to warm up your guests. If you need other Star Wars themed foods, check out the Star Wars Cook Book, and you can even make Wookiee cookies for Wookiee Life Day! Another part of a party includes activities to keep your guests entertained. There are probably countless Star Wars related games designed for 12 year-old birthday parties, but why not make things interesting by playing pin the Santa hat on... well, any character from Star Wars. 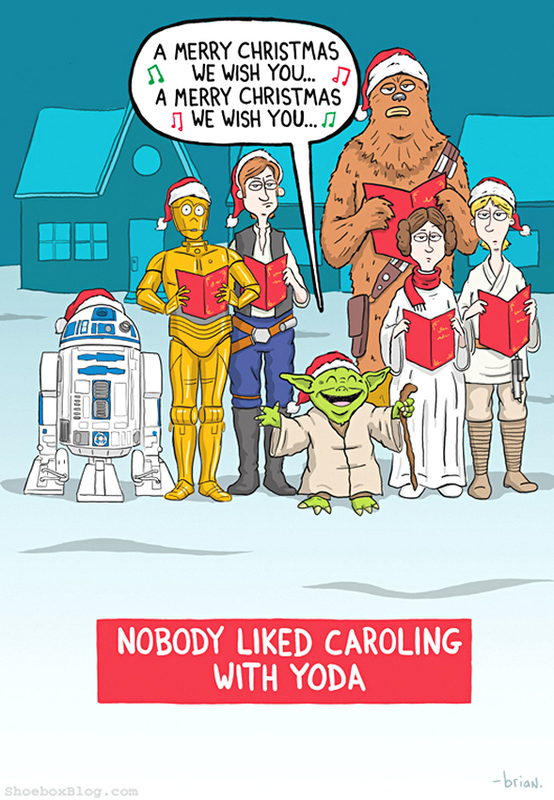 Darth Vader, Jabba the Hutt, Yoda, even Boba Fett--the possibilities are endless. 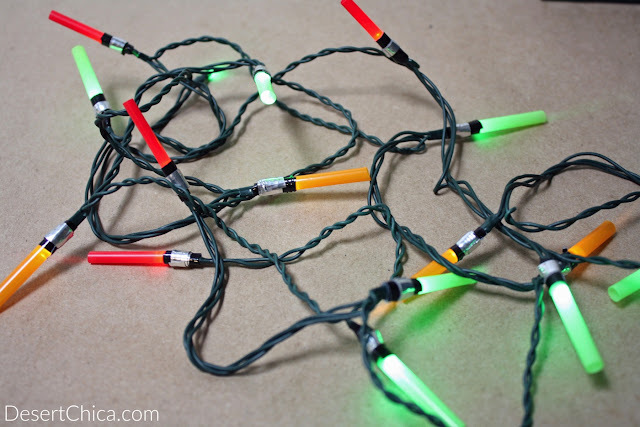 If you're in a crafty party mood, you can make light-up cards using a similar pattern to these May the Fourth Be With You cards, only give it a Christmas twist. 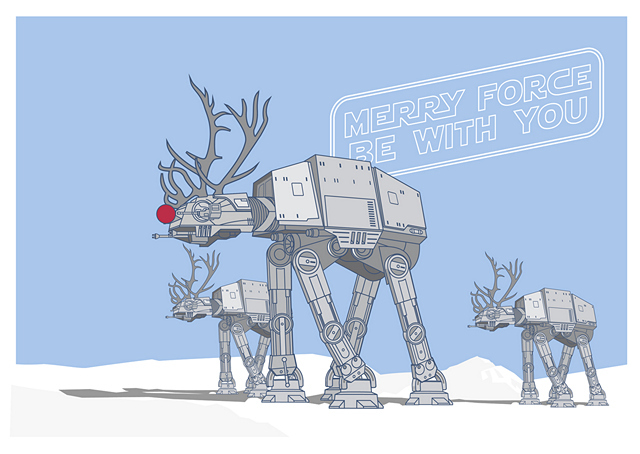 You can also host an ugly sweater contest, since there are a plethora of Star Wars ugly sweaters to buy (or even to make). When in doubt, you can always search the Outer Rim to find a copy of the Star Wars Holiday Special and enjoy ninety minutes of Wookiee and other bizarre things. Or... create a bingo card to go along with the viewing to make the night truly memorable. Overall, make the party fun and your guests will do the rest. Decorate to your heart's desire, blending Christmas decorations with Star Wars themes and vice versa. Fill your table with yummy food and your house with good cheer, and your party guests will go home full and happy. Also, don't forget the music.